Several years ago, I wrote about alternatives to Comixology for digital comics readers. However, since it’s a bit dated, I thought it was time for an updated version. Alternatives might give creators a better share of sales (Comixology keeps 50% of all sales). Boycotting Amazon/Comixology for various reasons. Digital rights management (DRM) concerns, though Comixology offers DRM-free files for most non-Big Two (DC/Marvel) publishers. Some publishers or creators only offer digital comics via Comixology, or use Comixology’s tech for their own digital stores. Comixology alternatives might involve more work to use. Some digital services offer smaller or more spotty selections. One’s comic collection might be scattered across multiple services/formats. DRM concerns; you often can’t export your comic collection to another service, for instance. Still, if you want options besides Comixology, they do exist. Below are some of the better options I could find or think of for digital comics. Some of the suggestions are similar to what I wrote about how to start reading digital comics. Google Play Books is the ebook and periodical portion of the Google Play store. The store offers a variety of publishers’ comics, from the Big Two to Archie and Image. Similar to other stores, Google Play offers occasional sales on its comics. For Marvel fans, Google Play only offers trade paperbacks, not single issues. Apple offers its own digital bookstore service through iBooks. iBooks offers comics, both as single issues and trade paperbacks. Of course, iBooks is only available on Apple devices. From what I can find, Marvel only offers trades through iBooks, while DC and Image offer singles and trades. Since 2013, Image has run its own digital store, where it offers same-day DRM-free digital comics. Formats offered include PDF, EPUB, CBR, and CBZ. Stand-alone readers are required for these books. Dark Horse has run its own digital store for years. While Dark Horse now offers their books on Comixology, they’re also still available through their own site and app. Dynamite fans can buy DRM-free comics at their site’s digital store. Formats available include EPUB, PDF, CBR, and CBZ. Barnes and Noble’s a chain that’s having major problems as of this writing. However, they’re still here, so I suppose I’ll still include them. The Nook Comics section offers trade paperbacks of DC, Marvel, and other publishers’ books. 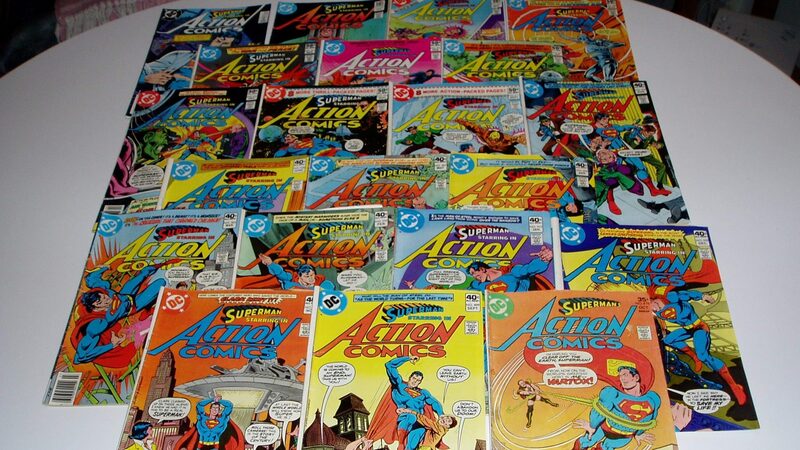 They also offer single issues of DC’s books. Since Borders went under years ago, Kobo’s US presence has somewhat diminished. Still, it’s a much bigger vendor on the global stage. An article in Canadian newspaper the Globe and Mail states Kobo intentionally doesn’t put all their business emphasis on the US market, given Amazon’s presence. That said, Kobo does offer a variety of media for sale, including comics. Most of Kobo’s comics are from non-Big Two publishers or manga titles. Out of the Big Two, Kobo offers some Marvel trade paperbacks. 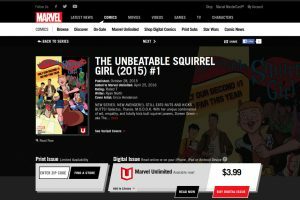 See my review of Marvel Unlimited, Marvel’s Netflix-like comics subscription service. Most larger public libraries now offer digital comics (both singles and trades) for the public to check out. Hoopla is one popular service many libraries use; some libraries also use Comics Plus. Humble Bundle often offers bundles of name-your-own-price digital comics, from various rotating publishers. Of course, webcomics are also digital comics. However, one advantage is webcomics are free. See my earlier post on recommended webcomics for suggestions. I assume trade waiters and non-Big Two fans will have an easier time switching to Comixology alternatives. Of course, you could also buy print trade paperbacks, if you want to bail on digital altogether. In that case, any conventional bookstore or library (other than Amazon) will also suffice. How do you read digital comics? Oh wow, Kobo is a bigger player internationally. Well, you go Kobo! I use Comixology to read comics. Whenever I can get my hands on hi-res PDF and ebooks (without DRM), i’m super happy. A couple years ago Humble Bundle offered a ton of Transformers comics in multiple-formats, DRM free. That’s the best!